Note: Heavy weight 250gsm, 350gsm or Laminated (Gloss/Matt) prices available on request. Folding available at extra cost. 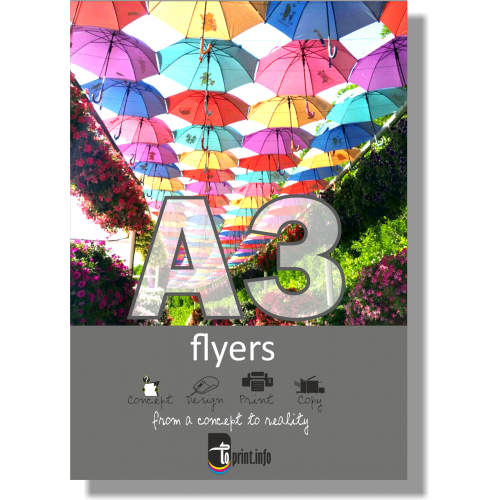 A7 Flyers & LeafletsOur A7 flyers and leaflets are a great, cost effective alternative to the cl..
A6 Flyers & LeafletsOur A6 flyers and leaflets are a great, cost effective alternative to the cl..
A4 Flyers & LeafletsUsing A4 Flyers and Leaflets can add an air of grandeur to a promotion; givi..
A5 BookletOur A5 booklets are the most popular size. Measuring 210 x 148mmA5Booklets, Printed Full C..
A5 BookletOur A5 booklets are the most popular size. Measuring 210 x 148mm A5 Booklets, Printed Full..
A4 BookletOur A4 booklets printed high quality litho press. Measuring 210 x 297mm A4 Booklets, Print..